Protect your ukulele with Lanikai's polyfoam case. 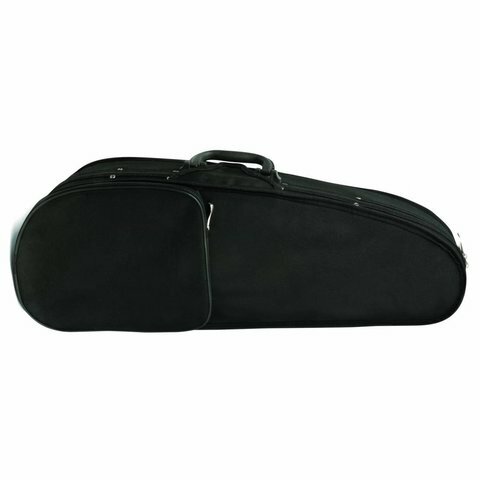 It's the best of both worlds the protection of a hard case with the versatility of a gig bag. Protect your ukulele with Lanikai's polyfoam case. It's the best of both worlds the protection of a hard case with the versatility of a gig bag. The inside storage and large outside pocket is perfect for accessories. This durable hard foam case is the perfect solution for keeping your ukulele safe and comfortable with it's plush interior and solid foam core. Perfect for storage, travel, or wherever you take your ukulele next! Exterior Pocket, Shoulder Straps Included.